Content blocking Safari browser to block unwanted ads on the websites of 99%. Browser Content Blocking ad blocker faster web page loading and less network traffic, you can browse on your device. 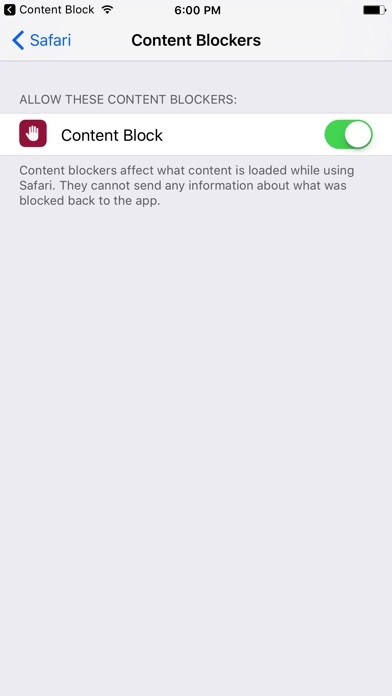 In Settings, check your Safari settings and content blockers enable the Content Blocking. 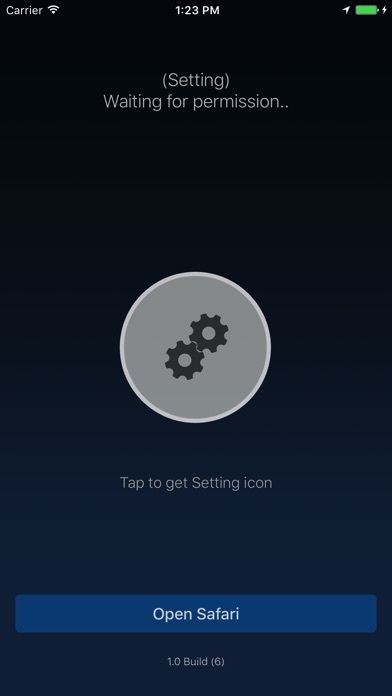 After it is enabled in the application of the Browser Content Blocking it is possible to enable or disable Browser. 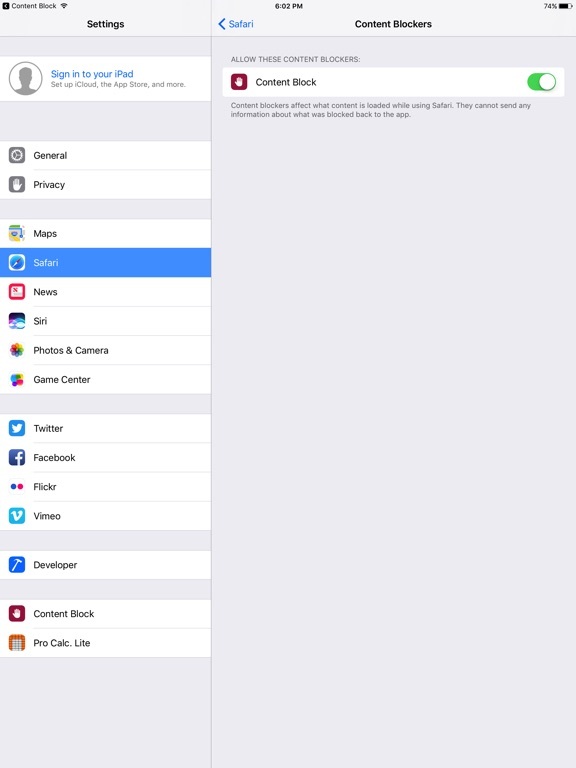 If, after switching on or off to display or not display the blocked content you may want to delete the cache Safari (Safari Browser closes and restarts or web history and delete content).